DMT is known for high-quality technical solutions, encompassing operational efficiency, innovation and safety. With its broad range of expertise in mining and radiation protection, DMT is well-equipped to support the safe disposal of radioactive waste in deep geological repositories. DMT offers a full range of services for the assessment and selection of potential sites and the development of safety-optimised solutions for the disposal of radioactive waste in deep geological repositories or deep boreholes. As a leading international mining consulting company, DMT offers a broad spectrum of specialist expertise for repository mining. Our services support the disposal of radioactive waste in deep geological formations at all project stages, from site selection and exploration, mine design and construction to operation and closure of the mine. Furthermore, as a member of the TÜV NORD group, Germany's largest technology service provider, DMT can call on a large number of specialists with a wide range of nuclear engineering know-how. Our primary goal is the safe and secure isolation of radioactive waste from the biosphere. Whatever the project, DMT provides customer-specific solutions for the disposal of radioactive waste, ranging from selected conceptual studies and the design of detailed engineering solutions to support in developing strategic approaches and national activities (roadmap) for the construction of a repository. 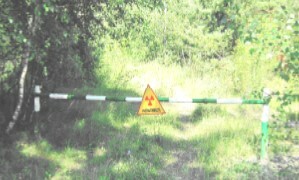 Drums of radioactive waste in the ERAM eastern field, 4th level (historical image). Footings being created using shotcrete construction in a roadway of the future Konrad repository. A roadheading machine used to expand a roadway in the Morsleben repository for radioactive waste (ERAM). After installation of a borehole probe, workers close the rotary blow-out preventer in full protective clothing. Opening of the new workshop, ERAM 2nd level. DMT vibroseis vehicles during site exploration. DMT employees preparing to enter the repository. Monitoring of exploration work at the Asse II mine. Operational regulations play an important role in underground repositories: preparation of extensive documentation for the Asse II repository. Drilling site with preventer, drill and push-pull unit for cross-hole measurements. DMT's engineering know-how covers every aspect of mining safety: Friction winch during rope change at the main manriding shaft at the Konrad 1 mine. The Essen Expert Talk on Repository Mining is an annual event hosted by DMT. It was initiated to bring together experts and interested parties to address challenges and share experience in this field. Monitoring is an important aspect of all underground projects. DMT has its own geotechnical monitoring department and a range of in-house specially developed monitoring equipment, so with us you know you are in safe hands. Tritium measurement at the Asse II repository. DMT has decades of mining experience and provides comprehensive solutions to support you in the final disposal of radioactive waste. Don't hesitate to contact us for further details! DMT has created detailed geological models within the scope of hundreds of major underground exploration projects for both repository and extraction mining. With our own trained seismic crew and specialist equipment, we can provide all the necessary geophysical data, thus laying the foundation for the long-term safety and success of your repository. Based on the results of the site investigation, we prepare the detailed design and planning of the repository mine, ensuring that this forms a basis for safe operation and the optimal realisation of long-term safety. The successful construction of repository mines relies heavily on comprehensive planning and expert support. DMT has many years of practical mining experience, from the sinking of the first shaft to the underground excavation as well as the construction of all necessary infrastructure. Furthermore, we are experienced in the fields of automation and process technology, and can provide valuable know-how and assistance in this area. Sealing of a repository securely is an essential step in keeping radioactive substances away from the biosphere for long periods of time. The way in which the closure is executed and managed is of decisive importance for long-term safety, as errors can no longer be rectified after completion of the work. Based on our mining experience, we can facilitate the secure sealing of the repository. This step includes, among other things, closing off the storage areas by filling selected sections flush with the contours and tightly sealing the shafts of the mine. Specific unique tasks often arise in "real" life and have many different causes. DMT implements customer-specific solutions that go beyond the state of the art in science and technology in the sensitive field of nuclear safety. Below you can find a selection of exemplary projects carried out by DMT in recent years. DMT has carried out various 3D and high-resolution 2D seismic surveys in northern Switzerland on behalf of nagra over the past three years. The aim of the measurements was to explore in detail potential sites for the disposal of radioactive waste in deep geological formations. The seismic investigations provided geological descriptions, which were then transferred to a high-resolution 3D model of the underground strata to clarify the possible suitability of the deeper subsoil (up to 900 m below the ground surface) for the storage of radioactive waste. Different measurement techniques were combined and a variety of seismic vehicles were used. The seismic measurements were carried out in a total of 4 sub-projects (three 3D projects and one 2D project), covering a total survey area of approximately 230 km2. The total number of source points in the 3D subproject "Jura East" alone was 20,500. Within the scope of the supplementary 2D subproject, the expansion of quaternary troughs and channels as well as gravel deposits at depths up to 300 m below ground level were investigated. Altogether, profiles with a total length of about 62 km were measured seismically. The total number of source points for these investigations was approximately 8,200. DMT is working in a consortium on the concept planning for the new Asse 5 shaft, which will be required once work begins to recover the radioactive waste stored in the mine (approx. 125,000 drums). Based on the existing (hydro-) geological and mining data, we determined a suitable point for the exploratory drilling, prepared the necessary planning and approval documents, accompanied the borings and processed the (hydro-) geological and geotechnical data obtained from the samples for the shaft planning. In the course of the audits carried out, DMT develops reports and concepts for a wide variety of tasks and integrates them into the underground processes. The various operating phases for the storage of radioactive waste at different seasonal temperatures above ground must be taken into account, for example to determine the respective uplift and operating point of the main mine ventilator for all operating phases and seasons. Furthermore, the mine building is examined for the effects of possible vehicle fires. With the help of the ventilation network program, fire incidents at various locations within the mine are simulated and appropriate emergency measures are derived. DMT is carrying out planning and exploration work on the Asse II mine on behalf of the BGE as part of the so-called fact-finding process. Due to the increasing inflow of water into the mine, the Federal Government decided to retrieve the low and intermediate level radioactive waste (approx. 126,000 barrels) originally stored there for research purposes, as part of the shaft rehabilitation measures. The purpose of fact-finding is to determine the current condition of the containers and the storage chambers. The data collected form the basis for determining the required timeframes for the retrieval of the waste and the actual expected radiation exposures. DMT plans and monitors the exploration work on two selected storage chambers; this includes the development of drilling and exploration concepts including the necessary infrastructure work (e.g. sluice and ventilation concepts) and rock mechanics planning for the underground routes and mine buildings. DMT is also developing concepts for the necessary monitoring and protection measures with regard to radioactive and toxic substances. This also includes the sampling of individual tasks under full protective clothing. DMT was a consortium member in the EU-funded project within the INSC Framework Programme (Instrument for Nuclear Safety Cooperation) to support non-EU countries in nuclear safety issues. Together with our partners, we were jointly responsible for the remediation of old storage sites for radioactive waste from decontamination work following the nuclear power plant accident at Chernobyl. Around 50 old sites outside the exclusion zone were analysed and classified (safety, remediation priority) and a remediation concept for the previously determined pilot site was developed. In addition, recommendations for the remediation of the other sites were prepared. All work was carried out in close cooperation with Ukrainian colleagues, the site managers and the responsible authorities. With a company history spanning centuries, DMT has all the experience required for the construction and operation of mines. Operating under the "DMT" brand since 1990, we have over 100 years of experience in operative mining and roots dating back more than 250 years to the foundation of the first mining safety organisation in Germany. A particular focus of our work and that of our predecessor companies has always been on maximising safety within the mining sector without neglecting economic aspects, for example in the fields of fire and explosion protection, mine ventilation, rope testing and conveying technology. Due to our involvement in many current extraction projects around the world, often dealing with very demanding deposits, we always have the latest mining knowledge at our fingertips. Our clients benefit from our expertise e.g. in strata control. Even under demanding conditions (depth, geotechnical stress etc. ), we are able to provide a repository design with an associated expansion concept, which optimally maintains and protects the strata, for all host rocks currently under discussion worldwide for the disposal of radioactive waste (clay, crystalline, salt). The first of DMT's numerous expert bodies was founded in 1903. Today, we benefit from decades of research and development through our numerous expert bodies and test centres recognised by the mining authorities. Our experts combine their extensive know-how with the nuclear safety expertise of skilled colleagues in our sister companies in the TÜV NORD group. DMT has a long tradition in the field of reseach and developement in the mining technology sector. As a result of our vast experience, we regularly lead or contribute to international innovation projects and receive funding e.g. from the European Union to actively develop new solutions for the mining sector. We are currently involved in raPHOSafe, an EIT RawMaterials project initiated in 2018 for the classification and sorting of radium-rich phosphogypsum tailings. One goal is the minimization of waste through the recycling of phosphate tailings. DMT also plays an active role in DAEF, the German working group for repository research.